S15 HAMMER TO THE TEETH – Attenzionen!!! Now lets see what happened in the ASLSK fight we had. The Germans are to make sure that there are no Good Order American MMC in or around the town square. 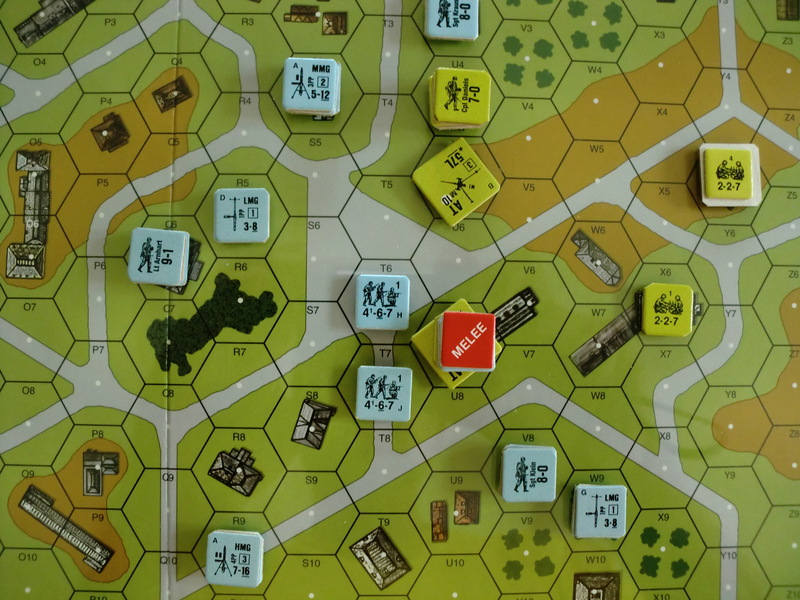 The German attack is well under way in turn 3. 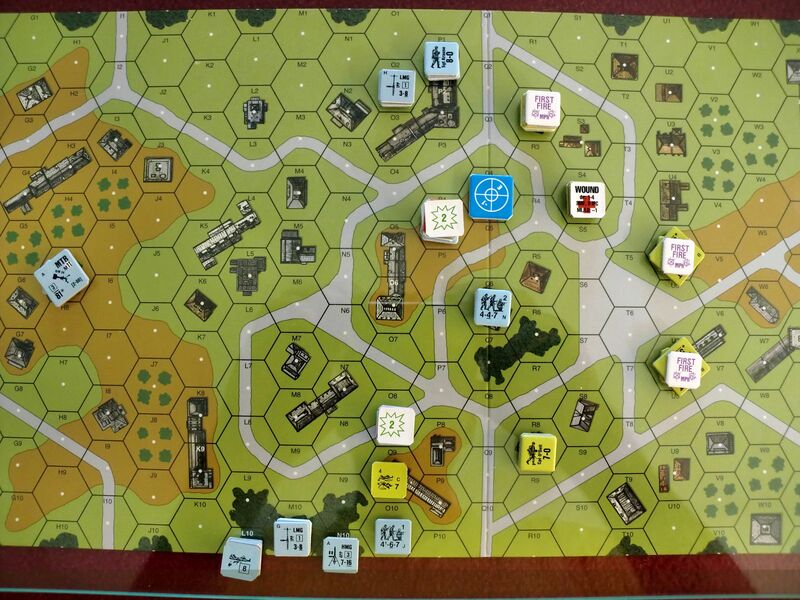 The Americans are pushed back and the at guns of 820 Tand Destroyer Battalion have opened up on the advancing Germans to stem the tide. The German attack has reached the town centre of Bleialf. The Americans desperately try to slow down the German advance. 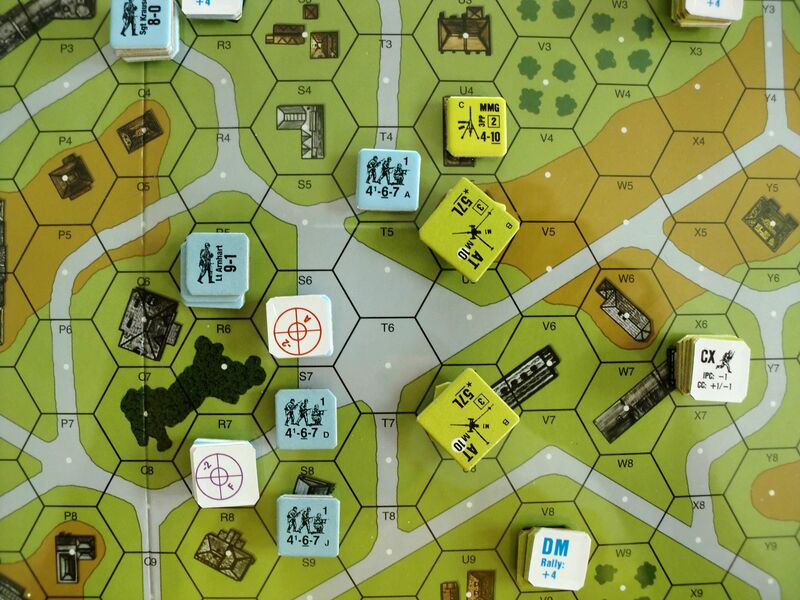 American resistance dwindels as the Germans advance across the town centre. 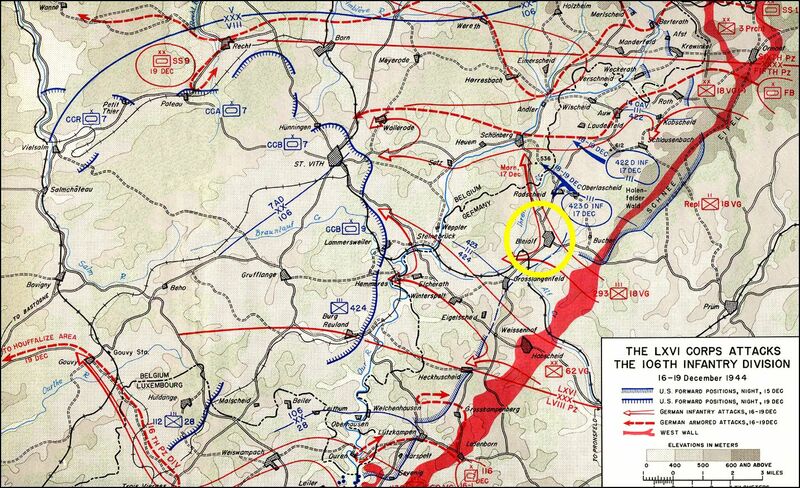 At this stage the two US a/t guns are the last line of resistance. Reserves from 81st Engineer Battalion hurry to bolster the American defence. The Germans stage their final attack. 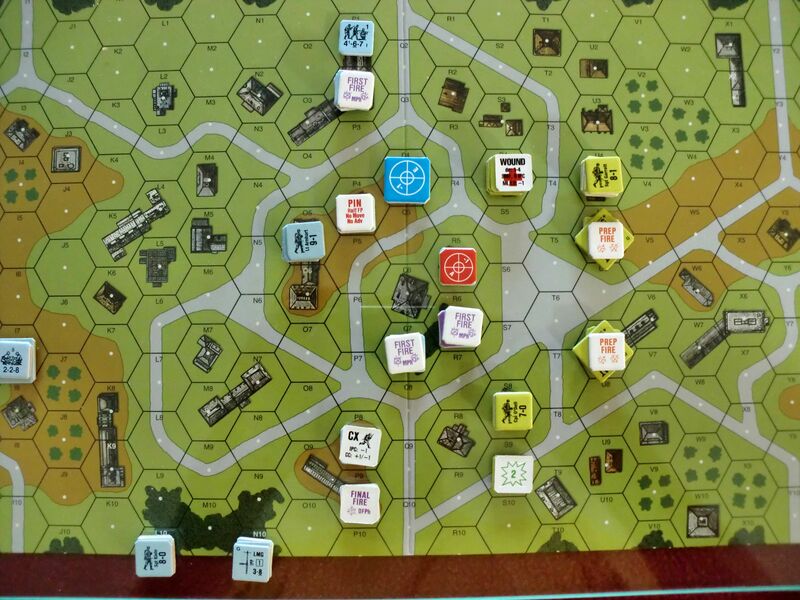 The Americans have recovered somewhat from the initial attack. unfortunately the green TD crew broke and had to retire away from their guns. The Germans close in on the remaining Americans. Several SQ are eliminated for failure to rout, i.e. they have surrendered. The engineers have advanced to the gun position and tenaciously hold on. 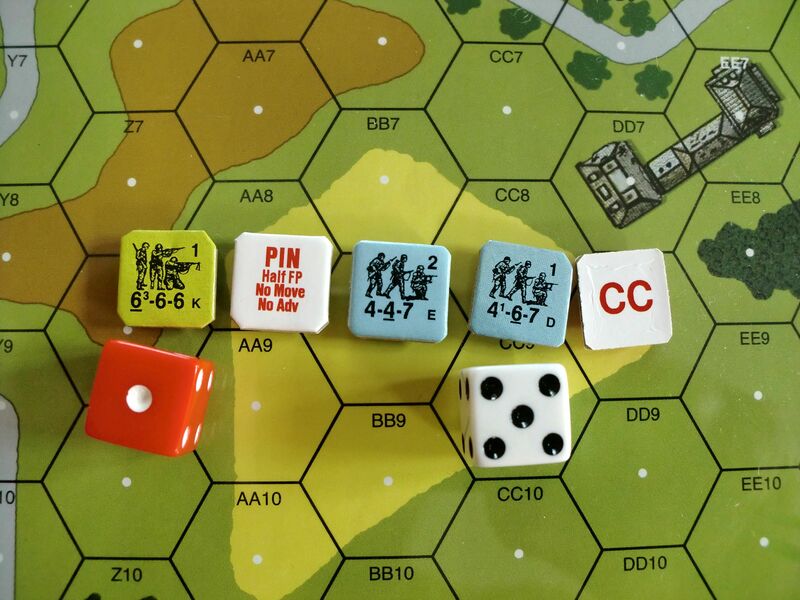 Despite of being pined the American engineers ambush the German attackers. The resulting Close Combat is inconclusive. 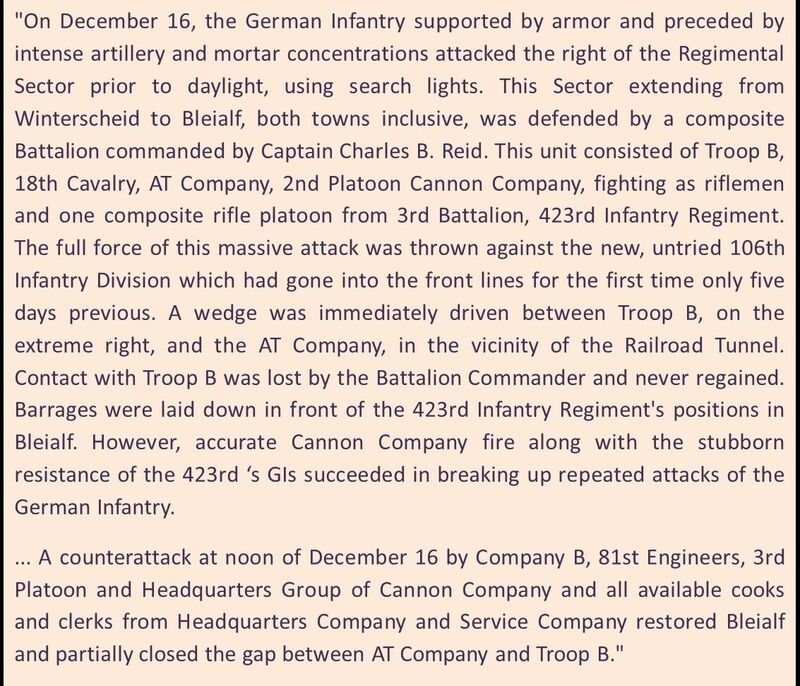 The battle and this narrative ends with the Germans closing in on the last poocket of American resistance in Bleialf. The collaps of the American defence is inevitable, but in game terms an the victory is still undecided. 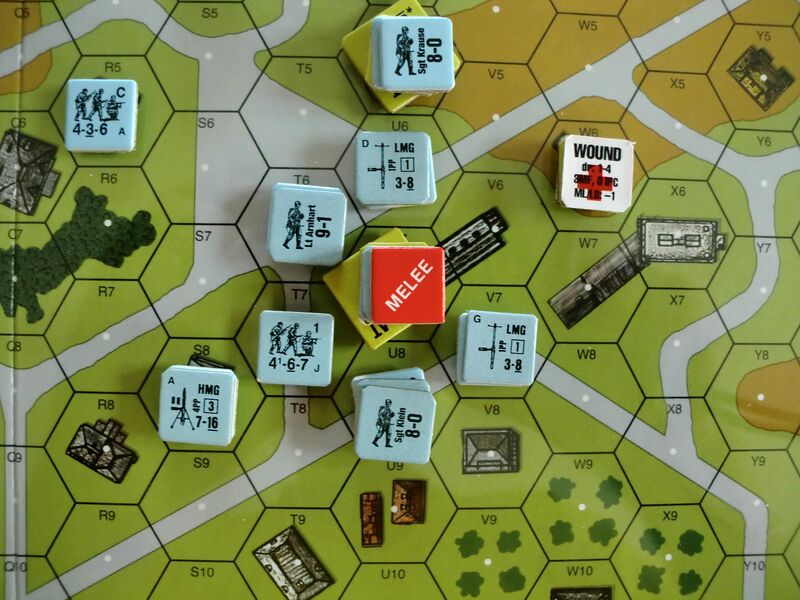 With a German 9-1 Leader and 4 SQ against the American SQ the odds in the last melee are 12 : 6 – 1 DRM. It needs 2d6 ≤ 8 to fully kill the American SQ. 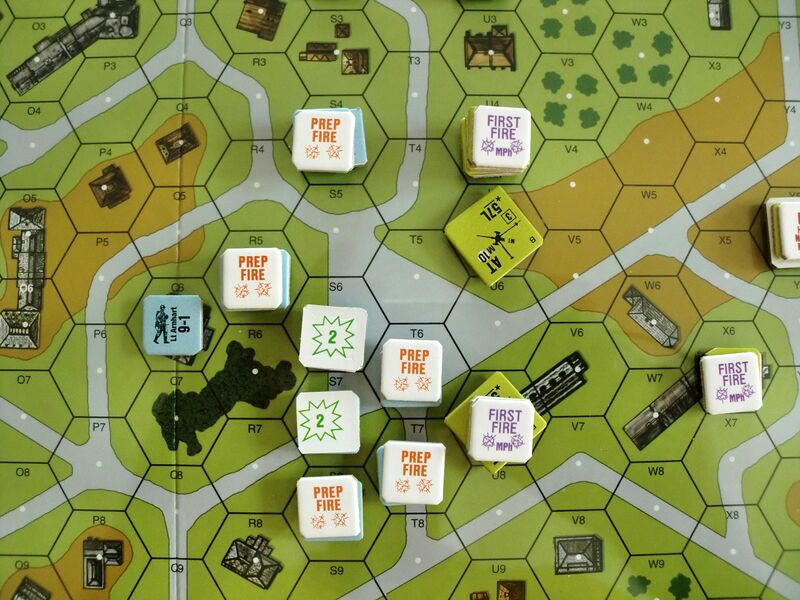 Thus the chance of winning the game on the last die roll is 58% in favor of the Germans. Well, what was the roll?